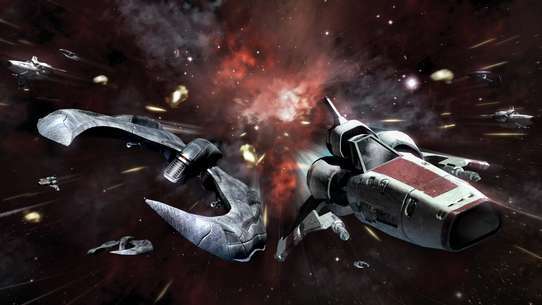 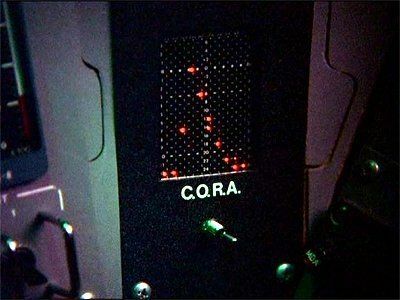 Rather than continue fleeing from their enemies, the crew of the Galactica commences an all-out attack on a Cylon base. 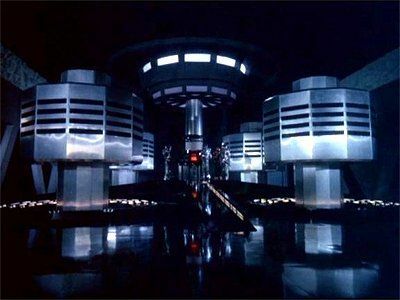 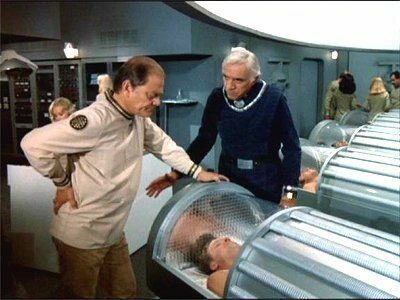 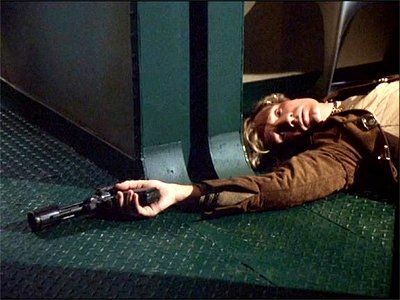 While most of the crew members from Galactica enjoy themselves in the casino, Apollo and Starbuck discover a dark secret in the mines below. 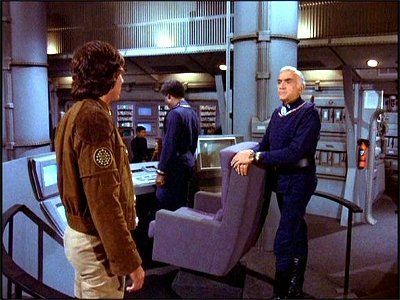 The brash Commander Cain insists that the Galactica join in on a frontal attack on the Cylons -- an attack that Adama believes would be a suicide mission. 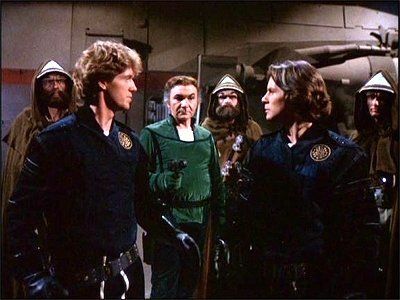 While on patrol, Apollo and Starbuck encounter the supposedly lost Battlestar Pegasus, commanded by the living legend, Commander Cain. 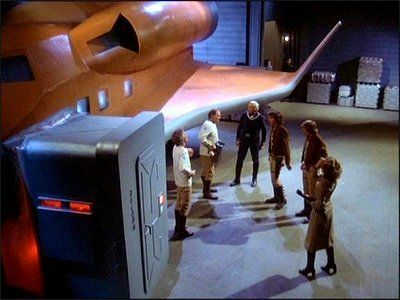 When the fleet stops at the planet Carillon to refuel and pick up supplies, a newly-elected member of the Council seizes power from Commander Adama. 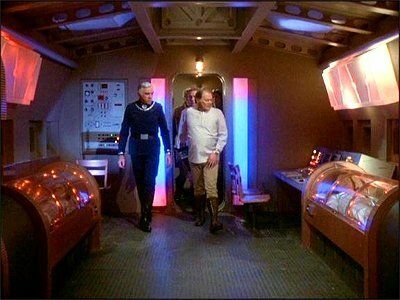 Boomer and Starbuck check out a shady casino resort on the planet. 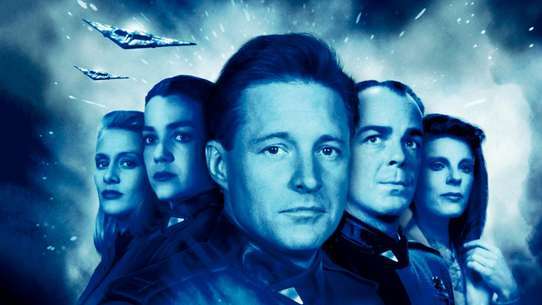 While Commander Adama leads the rag-tag fleet of ships to the planet Kobol, where he hopes to find clues of Earth's location, the Viper pilots contract a disease, making it necessary for the women to take on fighter patrol duties. 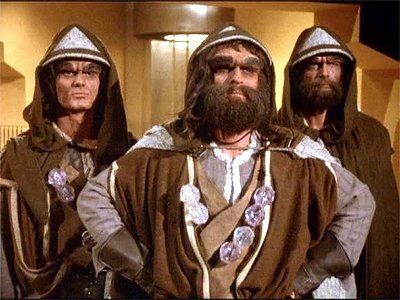 But the traitor Baltar leads the Cylons in an attack on the Galactica. 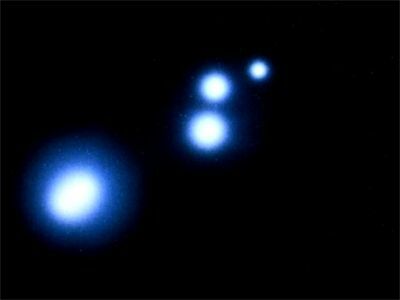 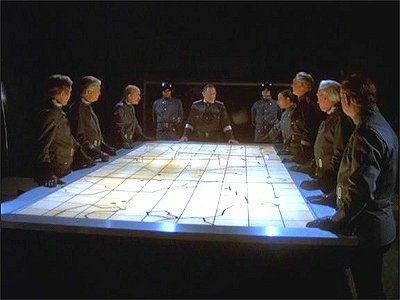 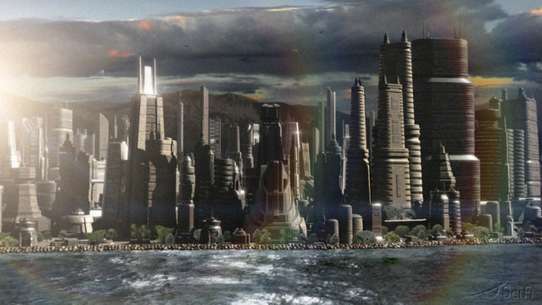 The Cylon Empire tricks the Twelve Colonies into believing they are striving for peace. 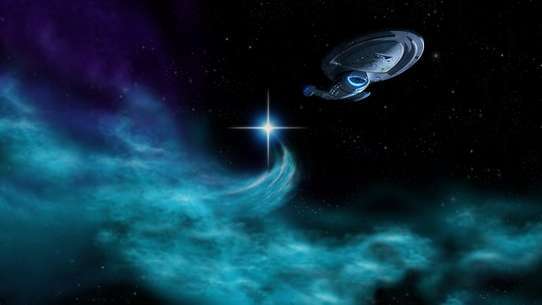 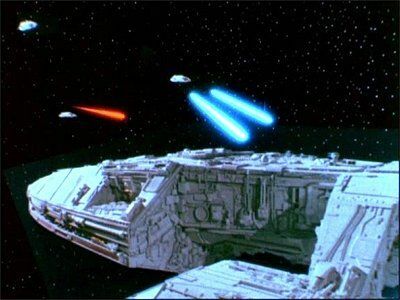 Then they ambush the unprepared colonies and destroy the military's Battlestar fleet. 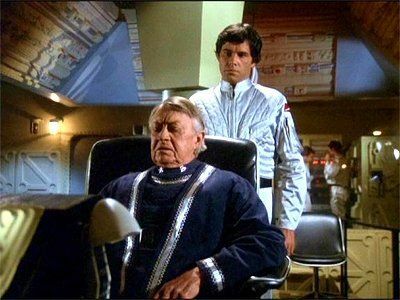 One surviving Battlestar, the Galactica, under the command of Commander Adama, gathers the remaining humans and leads them in the search for the legendary 13th colony called Earth. 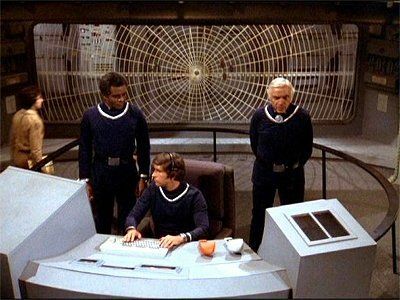 While the fleet is plagued by glowing lights that constantly fly past them too fast to be followed, Apollo, Starbuck, and Sheba find the remains of a shipwreck, with a mysterious and seemingly all-powerful being named Count Iblis, who helps them capture Baltar. 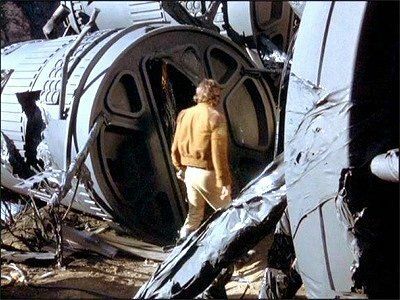 Apollo and Starbuck discover a void in space. 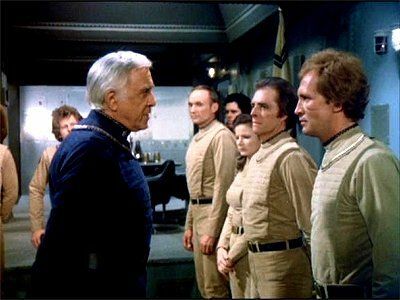 Commander Adama is convinced that this void will lead them to the planet Kobol, and orders they go through. 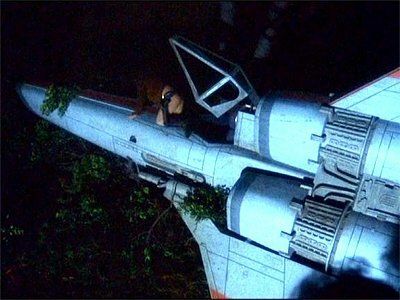 Starbuck is assigned to test a new ultra-fast, but unarmed, Viper with a talking computer named CORA; but when he meets a bootlegger, who steals the Viper, Starbuck finds himself arrested by the Galactic Police of a prison planet. 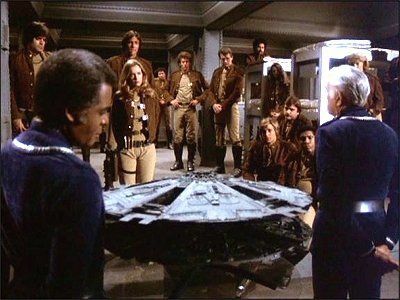 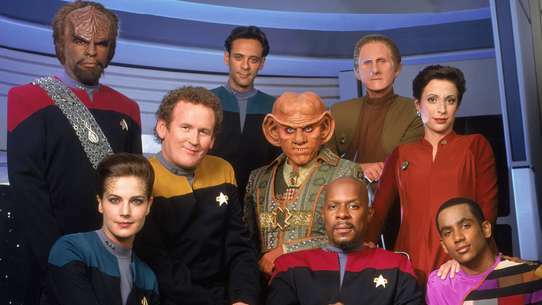 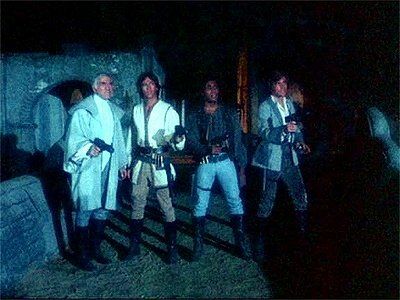 Apollo and Starbuck lead a group of convicts on a possible suicide mission to destroy the cannon, which is located on an icy planet. 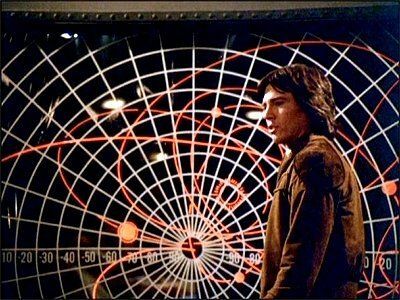 When Baltar plans his escape with the help of the three Borellians and the Eastern Alliance Enforcers, members of the Council of Twelve are taken hostage, and Adama must give in to the escapees' demands. 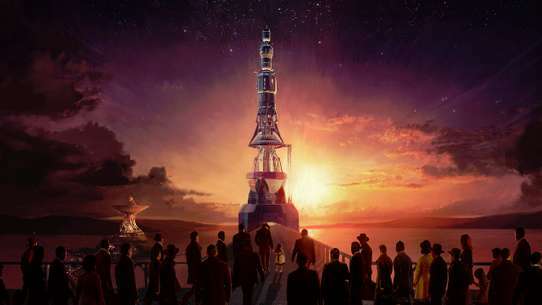 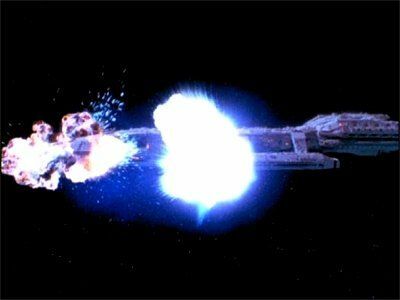 Starbuck runs in to his long-lost love, Aurora, who is involved with a group trying to free the passenger ship Celestra from its supposedly dictatorial captain. 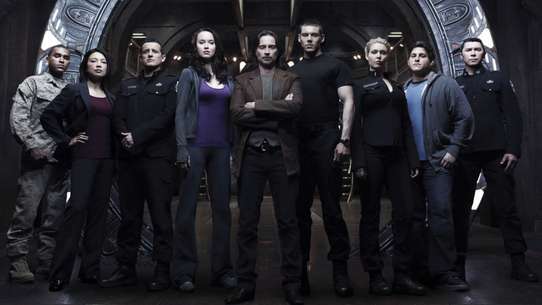 Starbuck crashes on the planet Trillion, where the Cylons have destroyed all the humans except for a band of children, who have become warriors to save their enslaved father. 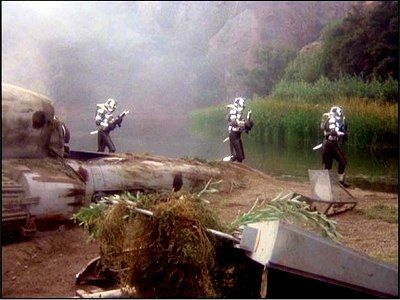 When a Cylon attack destroys most of the fleet's food supply, the Galactica must trade equipment for grain on a rural planet plagued by the Borays, a group of pig-like marauders. 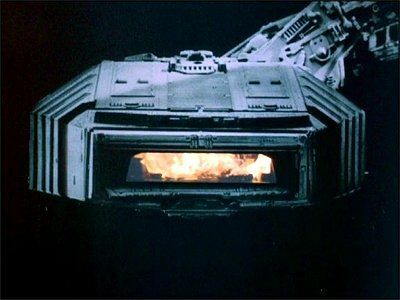 A Cylon kamikaze attack leaves the Galactica burning in space, with no way to extinguish the blaze that has trapped Boomer, Athena, and Boxey except a dangerous spacewalk by Apollo and Starbuck. 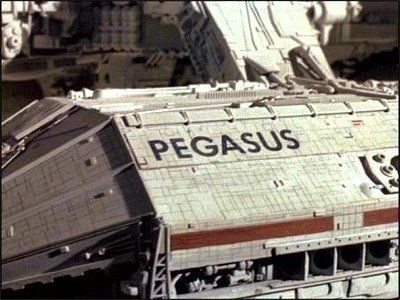 When Apollo and Starbuck find a primitive sleeper ship carrying a man, a woman, and four children, the inhabitants reveal that they are from Terra, an Earth-like planet at war with the evil Eastern Alliance.